From their brand new (eponymous) collaborative album, once again please enjoy national treasure Steve Earle and (I knew her when) Village contemporary Shawn Colvin and an absolutely fabulous take on the John D. Loudermilk and The Nashville Teens' (who were neither, in actual fact) classic "Tobacco Road." Have I mentioned that I love this album? Oh -- you can order it over at Amazon HERE. From 1983...well, you'll figure it out. This album seems to really annoy a lot of people, but I've always found it hilarious. In any event, I couldn't help myself -- I promise something less contentious on the morrow. Today we are an EP. A year in the making, actually. Gotta ship these off to our various distributors, so they won't be available for purchase for another week or so (I'll keep you posted). But the project is now done, and I couldn't be prouder. Part III of the cover stuff resumes tomorrow. Thank you for your indulgence in this regard. From 2015, please enjoy Pittsburgh's finest, The Clarks, and their fabulous cover of The Replacements classic "I Will Dare." I bring this up because last week we learned that Democratic vice-presidential candidate Tim Kaine is on record as saying that the 'Mats Let It Be, from whence that song originates, is his favorite album of all time. Hey, if I needed an excuse to vote for the Dem ticket this year, that's it. 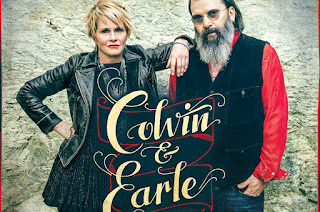 From their brand new (eponymous) collaborative album please enjoy national treasure Steve Earle and (I knew her when) Village contemporary Shawn Colvin and an absolutely transplendent version of the folk-rock classic "You Were On My Mind." I gotta tell you -- when I first heard about this record I was dubious. To me, it was akin to Keith Richards doing a duet record with Joan Baez. But boy, was I wrong. Seriously, this album is out of control great; the Colvin and Earle originals are knockouts, and the other covers -- including an amazing version of "Tobacco Road" -- are revelatory. If the song above, of course, doesn't make you grin from ear to ear, you probably need to have it looked at. It's to damned hot to sit in front of my computer. Regular, non-weather related postings resume on Monday. From the Letterman show in 2007, please enjoy singer/songwriter Elvis Perkins and an insinuating tune from his debut album "While You Were Sleeping." 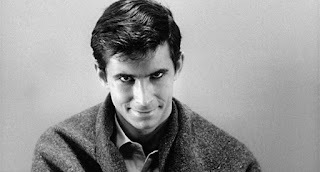 I was unaware of this guy until the other day, and you could have knocked me over with a feather when I learned he was the son of...this guy. In all seriousness, in retrospect I can see the resemblance (although I think Elvis looks more like Robbie Robertson than Norman Bates). The vocal quality is kinda like his dad, though. In any case, I like what I've heard of his music so far. In this case, the teenage kids of an old friend and bandmate of mine. 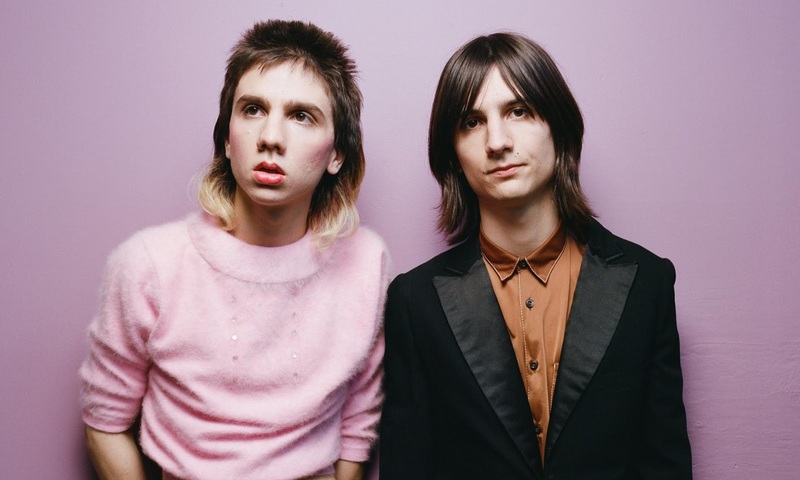 The background: One thing is certain: Lemon Twigs are going to divide opinion. This is, perhaps, a strange thing to say about a band who base a lot of their shtick on two of the biggest groups in pop music history – the Beatles and the Beach Boys – around whom there is unparalleled critical consensus. Nevertheless, there will be some who consider their reference-rich songs to genuflect too closely to the old masters. Others will simply recoil at their very presence, fearing them to be a hipster contrivance, too good to be true, cynically assembled by an evil record company eager to plug a gap in the market. Look at that image of the main members – Brian and Michael D’Addario – accompanying this article: they could be out of the Partridge Family as envisioned by Harmony Korine. You can read the entire piece over at the Guardian website HERE. And please enjoy two of the songs from the aforementioned debut album. I should add that, apart from being annoyingly talented, they're also really, really nice kids. I should also add that if their dad's name sounds familiar, one reason may be that he sang the McCartney-esque backup vocals on The Floor Models' "Letter from Liverpool." Apparently, this guy has at least one redeeming quality. 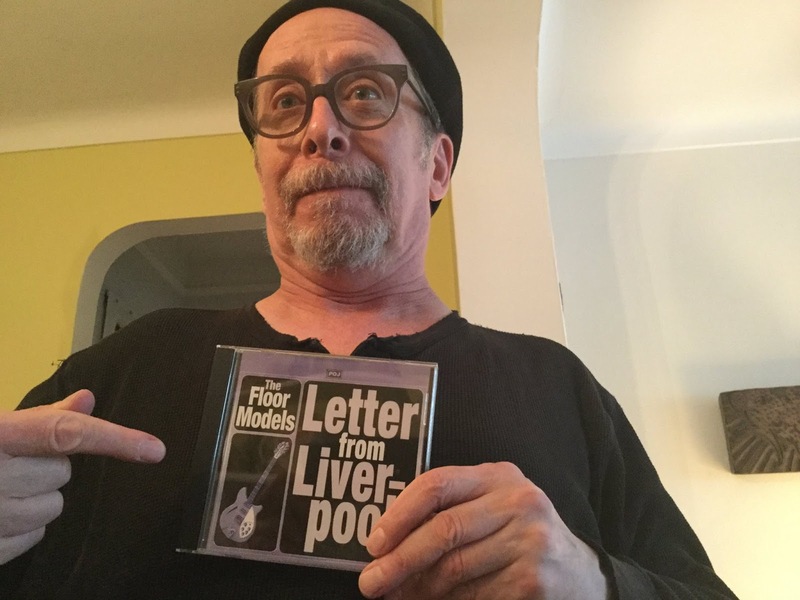 In related news, CD Baby informs me that Amazon, iTunes, Spotify and the rest of the usual suspects will be featuring Letter From Liverpool any minute now. By which they mean it could take as long as a week. In the meantime, if you are moved to purchase the EP in digital form (physical CDs will be available beginning August 1) you can do so HERE. And even more amazingly -- a video. This has been over a year in the making, and apart from the fact that I'm insanely proud of it, I would just like to thank everybody involved in getting it together. That includes ace engineer Brent McLachlan, my drummer and musical director for the last 50 years Glen "Bob" Allen, special guest Flo Mos J.D. Goldberg and Ronnie D'Addario, and singer, co-writer (with the late great Andy Pasternack -- that's him, sampled, on the Rickenbacker at the end of the song) and long-time bandmate Gerry Devine. If you're moved to purchase the entire thing, for the moment it can be downloaded at CD Baby HERE; Amazon, Spotify, iTunes and the rest of the usual suspects will have it shortly. Physical CDs will be available by August 1. Now you'll have to excuse me -- I'm getting verklempt. 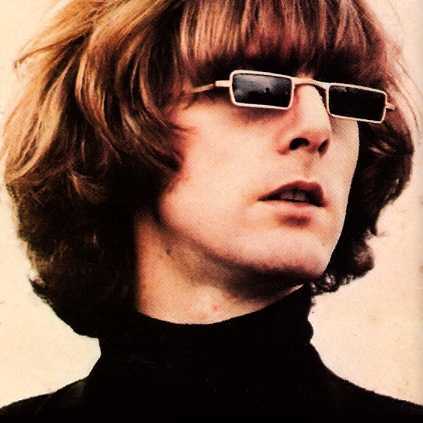 My hero Roger McGuinn turned 74 this Wednesday. If I had to pick the one musician in my lifetime who's meant the most to me, it's him. And for a very simple reason: Because a Rickenbacker 12-string, well-played, is in my opinion the most beautifully occurring sound in nature. Here's the definitive stereo mix of The Byrds' epochal "Mr. Tambourine Man" to illustrate what I mean. And (via Wiki) here's Roger on the genesis of that sound. While "tracking" The Byrds' first single, "Mr. Tambourine Man", at Columbia studios, McGuinn discovered an important component of his style. "The 'Ric' by itself is kind of thuddy," he notes. "It doesn't ring. But if you add a compressor, you get that long sustain. To be honest, I found this by accident. The engineer, Ray Gerhardt, would run compressors on everything to protect his precious equipment from loud rock and roll. He compressed the heck out of my 12-string, and it sounded so great we decided to use two tube compressors [likely Teletronix LA-2As] in series, and then go directly into the board. That's how I got my 'jingle-jangle' tone. It's really squashed down, but it jumps out from the radio. With compression, I found I could hold a note for three or four seconds, and sound more like a wind instrument. Later, this led me to emulate John Coltrane's saxophone on "Eight Miles High". 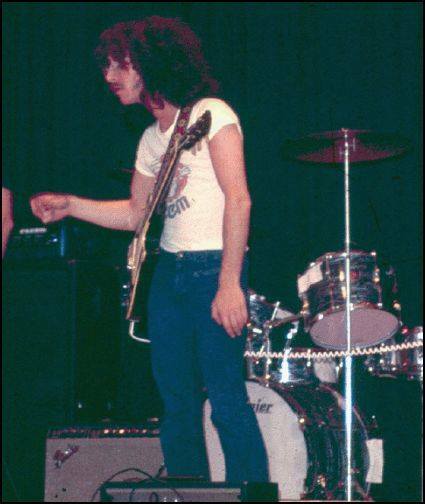 Without compression, I couldn't have sustained the riff's first note." Happy birthday, Rog, and many many more. From the just released -- on the wonderfully monikered Team Mensch label -- album Guilt By Association Volume 4: 1966, please enjoy the incredibly great Mike Viola (yes, the guy who sang lead on "That Thing You Do") and his truly remarkable cover of Dusty Springfield's hit "You Don't Have to Say You Love Me." 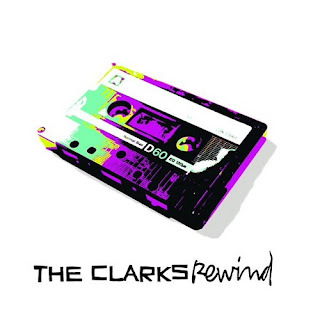 As you may have guessed, the album itself consists of covers of songs originally released in that seminal pop music year, and like most tribute albums it's, shall we say, inconsistent. On the basis of the Viola track, however, I think we're going to have to face up to the fact that the guy is one of the best singers alive and deserves to be a household name. The album doesn't seem to be available via Amazon yet, but you can find out more about Team Mensch over HERE. It's too damn hot to work. Never fear -- regular tanned, rested and ready postings resume on the morrow. Who Wants to Be a Patron of the Arts? So Creem (aka America's Only Rock 'n' Roll Magazine -- and yes, it really was) is finally getting the documentary film it deserves. Here's a little promo clip that's part of the Kickstarter project to fund the doc. Act now! Nevertheless, this is a film that really, really needs to be made, and I urge you to send them some coin at the link HERE. I know I will. Well, it's Friday, and you know what that means. Yes, my Oriental manual catharsis specialist Fah Lo Suee and I are off to spend the sabbath in Israel, where Donald Trump is opening his latest outreach to the Jewish community -- a swank resort called Shtetl-a-Lago. No golf course, alas, but I'm told they have some very nice pawnshops. Best or Worst Post-Elvis Pop/Rock/Soul Song or Record Written or Performed by People of Canadian Extraction!!! No arbitrary rules of any kind, you bastids, so play nice. The title song from the transplendent solo album of the same name. Gee -- a lyric that name-checks Hitler by a Jew who isn't Mel Brooks? I can't imagine why this didn't get the radio airplay it clearly deserved. This is a great song, actually -- it was memorably covered by no less than Neko Case and the New Pornographers -- but man, that video is like a distillation of everything crappy about the 80s into one cringe-making package. Good grief, those people look like idiots. 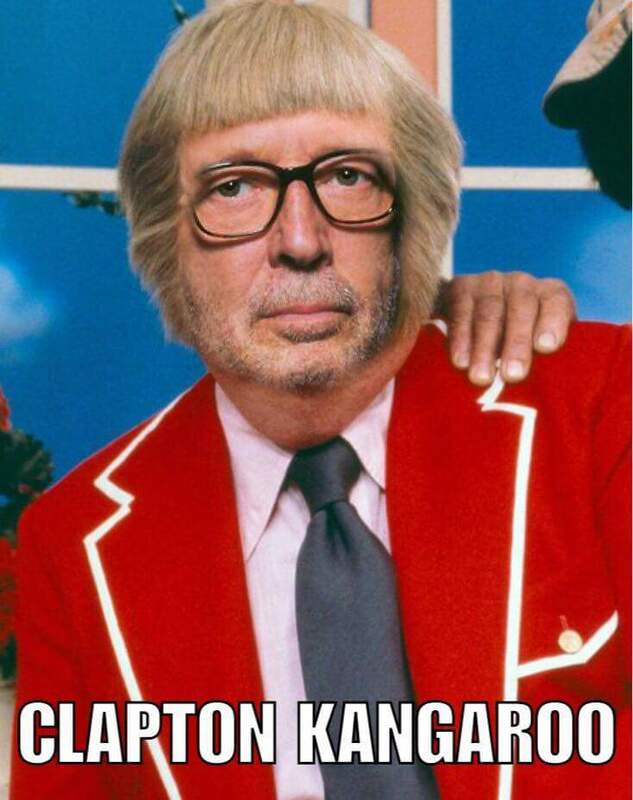 Yeah, I know, I know -- Levon's from Arkansas. But the rest of them are Canadians, so cut me some slack. I'm not actually sure whether they recorded this before or after they hooked up with Dylan, but in any case the sound is certainly there. Should have been a hit, too, in my humble opinion. Best cover of a solo Beatles record ever. 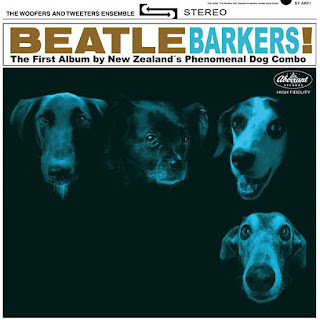 In fact, people actually thought it WAS the Beatles when it got played on the radio. 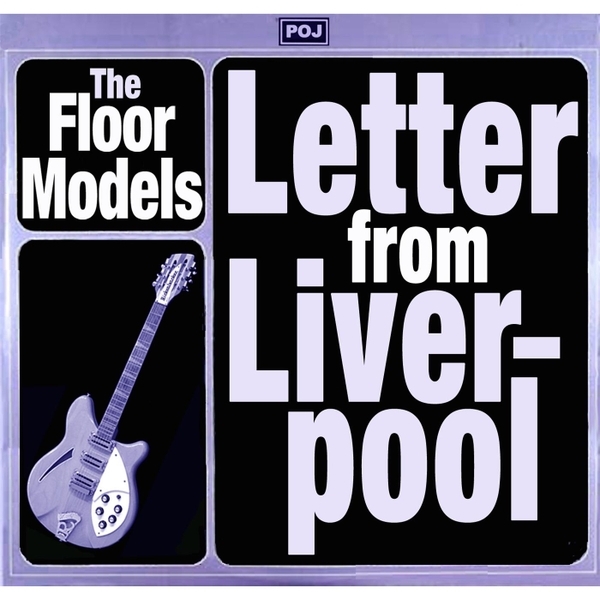 The Evie Sands/Hollies classic as recorded sort of live (from the great Sloan Party album). These guys are gods in Canadia, and with good reason. 2. The Poppy Family -- Which Way You Goin' Billy? One of the drippiest records ever made; Terry Jacks, the male member(heh!) of this duo, would later go on to commit the crime against nature that is "Seasons in the Sun." I can forgive Geddy Lee pretty much anything thanks to this one. From October 1966, please enjoy this utterly charming video clip of the Lovin Spoonful on tour in Toronto, including a reunion of Canadian ex-pat Spoonful guitarist Zal Yanovsky with his dad and a TV journalist pal from the old days. Zally's one of my all time heroes, so it was nice to discover that, yes, he really was every the inch a rock star and a laugh riot as well. As I'd always hoped. In any case, a coveted PowerPop No-Prize© will be awarded to the first reader who gleans the significance of the clip to tomorrow's all-new Weekend Listomania. At one point, Simon's wonderful band broke into a blues instrumental that I thought I recognized, which then segued seamlessly into Paul's "Slip Slidin' Away." A little intertube research has confirmed my impression -- the instrumental was, in fact, Bill Doggett's classic "Honky Tonk." Kudos to whoever thought that transition up. And because I love you all more than food, here's the audio so you can do it yourselves. Had a long and very pleasant holiday weekend, but at my age, I need a day to recover from it. 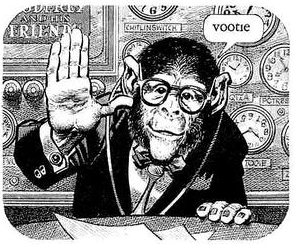 Rest assured, however, that regular young, well-mannered and impeccably groomed postings -- including, on Friday, a hilarious new Weekend Listomania -- will resume on the morrow. If It's the 4th of July, It's Bruce Springsteen Day!!! I think I've posted a version of this song every 4th since NYMary first gave me the metaphorical keys to the car around here. So why should this year be any different? That one is from a show at the old Capitol Theater in 1978, in case you were wondering. Pretty great, I think. ...polluting our national discourse with bigotry and ignorance any longer. Hey -- a boy can dream, can't he? 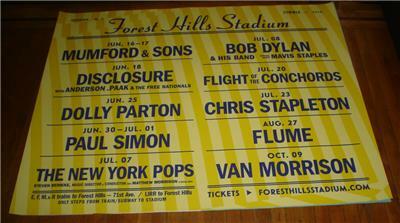 So I saw Paul Simon -- first time ever, amazingly -- last night in Forest Hills. A very nice concert, the high point of which (for me) was a version of "Me and Julio" that probably rocked harder than anything Simon has ever done in his entire career, with the exception of "A Hazy Shade of Winter" (which he didn't do at the show, alas). In any case, Simon was in good voice, the sound was great, and the venue was terrific. Nonetheless, I suspect that most of the audience still hasn't gotten the memo about the other guy, if you know what I mean. In case you've never heard that before, it's from a 1993 Garfunkel compilation album, and it never fails to crack me up. Especially the part about the college tour.